National Streetcar Museum - Lowell, MA - Take a day trip! 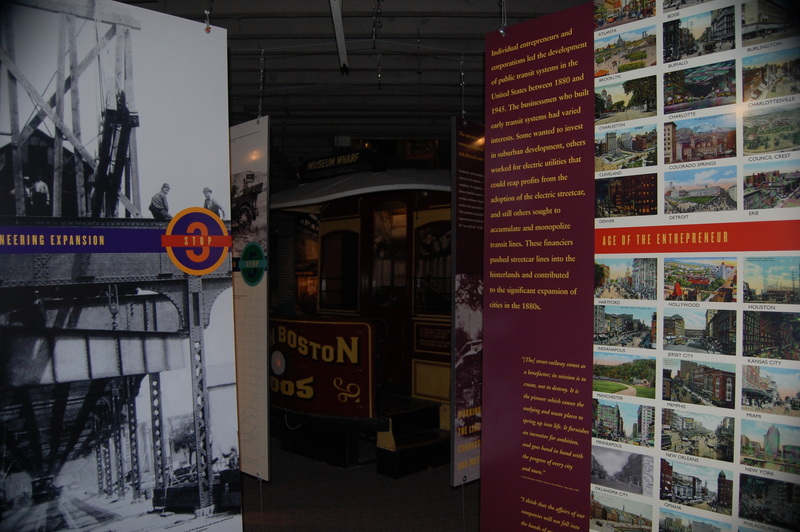 The National Streetcar museum in Lowell tells the story of urban transportation in the United States in general and Greater Boston & Lowell in particular. It’s an interesting small museum that is affiliated Seashore Trolley Museum in Kenneybunkport, Maine. It’s basically composed of two sections, a main area downstairs and a kid-friendly series of exhibits. The main museum downstairs chronicles the construction and heyday of American streetcar lines along with their decay and replacement by the automobile and most cities. There are a lot of specific pieces of Boston streetcar and transportation history including some great photos of the Green line under construction next to the Boston Common under Tremont St. and Boston Common. 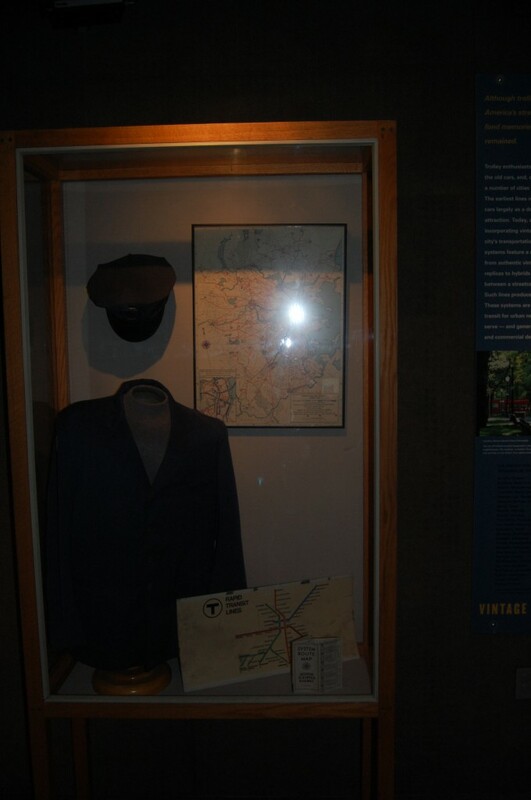 Among the many other interesting things is a exhibit with an old MBTA uniform and a system map that dates from at least 50 or 60 years ago as it shows Boston’s Green line with an “A” branch to Watertown that hasn’t been opened in a very long time which I found to be a very interesting tidbit of history. Vintage Boston MBTA Uniform and old route map. Admission is $4 for adults and less for senior citizens and children. The museum is open from 11 AM to 4 PM. The museum is located at 25 Shattuck St. in Lwoell, however I would recommend parking at the National Historic Park Visitor Center and getting your ticket validated for free parking for a hassle-free visit. This museum is also accessible via public transportation. The MBTA Commuter Rail’s Lowell Line has service to Lowell’s Gallagher Terminal. There is a shuttle from this terminal to the headquarters of the National Historic park, which is a short walk from this musuem, and several other places in Greater Lowell. For more details on the MBTA Commuter Rail Service please visit their website and the website of the Lowell Regional Transit Authority.